After a couple of false starts, Qatar Airways has commenced nonstop flights between Doha and New Zealand. 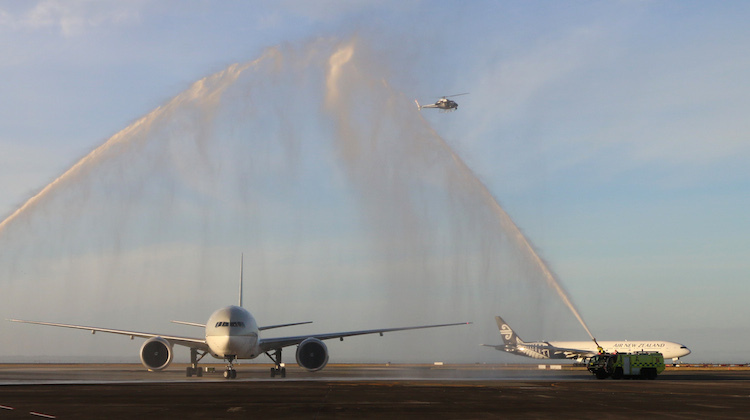 The inaugural service QR920, operated by a Boeing 777-200LR, touched down at Auckland Airport at 0715 on Monday, after a 16-hour journey from Doha. The aircraft, A7-BBB, received a traditional welcome as it taxiied to the gate after landing. The reciprocal QR921 was due to depart Auckland at 1440 local time. 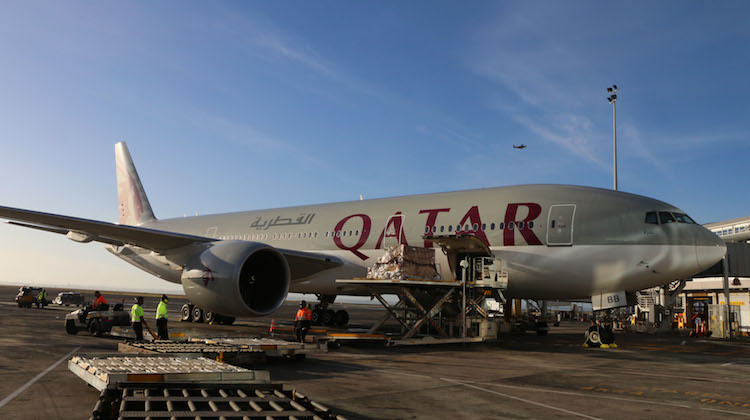 Qatar first mooted Doha-Auckland nonstop service in January 2016, with the service originally scheduled to start in June. However, chief executive Akbar Al Baker said in March the start would be postponed to December “as a respect to Emirates”, given its Gulf rival had already commenced Dubai-Auckland nonstop service at that time. The start date was later pushed back further to February 2017. At 7,848nm, Doha-Auckland is the world’s second-longest passenger route, trailing Air India’s Delhi-San Francisco (only when flying eastwards from Delhi). Air India took the record on October 16 2016, when AI 173 took off from Indira Ghandi International Airport at a few minutes before 0430 local time and landed at San Francisco International Airport some 14 and a half hours later, covering 8,285nm, according to flight tracking website FlightAware. The return flight is shorter as it heads eastwards from San Francisco and over the Atlantic Ocean back to Delhi, taking advantage of the prevailing tailwinds when flying east. 2. Doha-Auckland (7,848nm) – operated by Qatar Airways with Boeing 777-200LR. It’s great to see the 777-200LR being used for what it was designed; ultra long haul flights. Sad that there is no A340-500’s in that list though (also designed for ultra long haul and the competitor to the 777-200LR). The Singapore to NY has already been done with the A340-500 but they took it out of service. I don’t know that anyone operates the A340-500 any more. Perhaps it is time to resurrect Concorde using modern materials and inflight refuelling. Todays aircraft are slower than the old VC10. Todays aircraft are NOT slower than the old VC10, they are just being flown slower to conserve fuel (to maximise profits). MEL-SYD used to be timetabled for 65 min in the early 70s. Which means an A380 can travel 800 miles further than a 777 after 10 hours. Which means it has taken 50 years to go between 14 and 100 mph faster. How many passengers and how much fuel onboard?